Port of Edmonds Welcomes Guest Boaters! 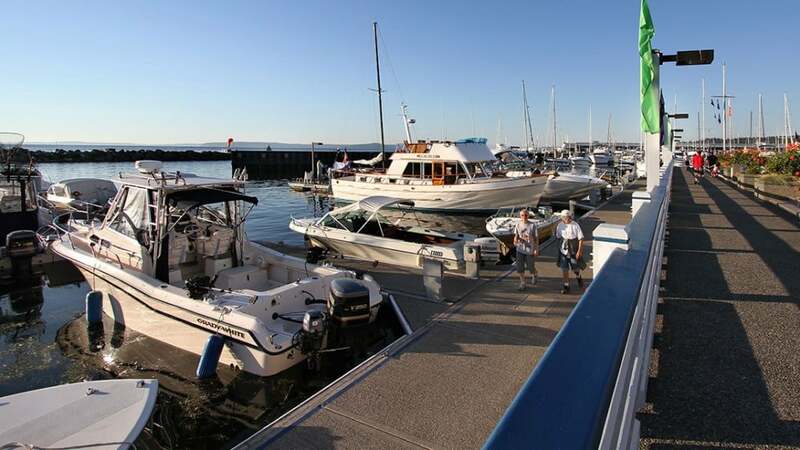 There is easy access to the Port’s guest moorage, located just inside the breakwater. We accept individual and group reservations, as well as offer guest moorage on a first-come, first-served basis. For the Port’s guests, we offer a courtesy shuttle, restrooms with complimentary showers, laundry, and 30 & 50 amp power. Please contact the Marina office to make a reservation. Guest moorage fees are payable at the time of reservation, and include a daily reservation fee in addition to moorage fees and electrical. Reservations may be made on K-dock, which runs East/West, with 70’ total of dock space on one side. The daily reservation fee is non-refundable. Refund of guest moorage and electrical fees are given if reservations are cancelled no less than 72 hours in advance. To make group reservations for 3 or more boats, please fill out and submit the group reservation request. Requests will be reviewed based on availability. Final details about participating boats will be needed no less than 7 days prior to reservation. First-come, first-served guest moorage is available on I, J, and L docks. Rafting is allowed and encouraged in unreserved areas. 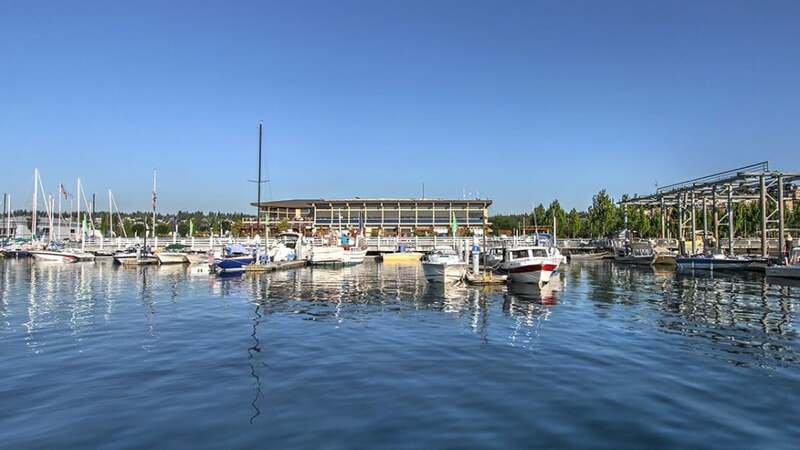 Moorage and electricity charges are payable in advance, and can be made during business hours in the Marina office, or after business hours in the drop box located in the kiosk at the top of the ramp. We want to ensure you have an excellent and memorable stay at the Port of Edmonds! All guest boaters staying overnight at the Port will receive a Destination Port of Edmonds tote bag, filled with various items welcoming you to Edmonds. A destination Port of Edmonds booklet and promotional card inside allows guests to take advantage of special discounts and offers at the participating merchants in the Edmonds area. New retailers for 2017-2018! View map of participating retailers here. The Port provides a courtesy shuttle service from the marina to downtown Edmonds during business hours. You may request a ride at the Marina Operations office, and staff will arrange your transportation as soon as possible. What is the Destination Port of Edmonds program? 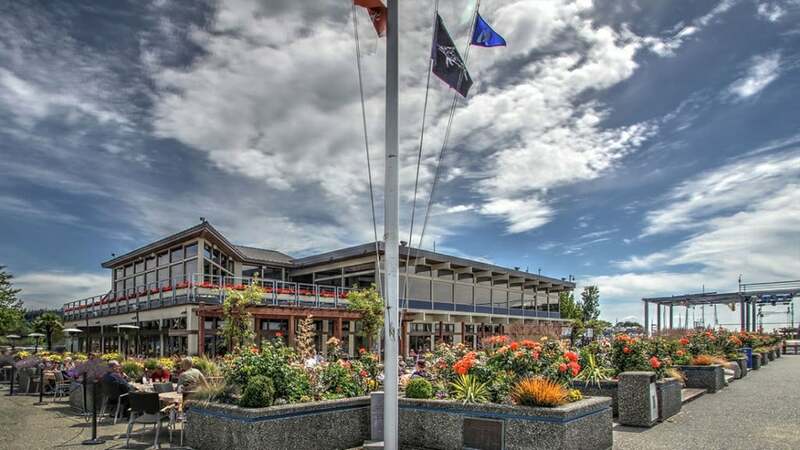 The purpose of the Destination Port of Edmonds program is to promote and identify the economic benefit brought to our community through Port of Edmonds guest moorage visitors. We want to attract boaters to our Marina to utilize our moorage areas and services at the Port of Edmonds while introducing them to our community. Whether you enjoy symphony, ballet, theater, scuba diving, waterfront parks, jazz, the arts, farmers markets, festivals, fabulous cuisine, fine wines or shopping, you’ll be glad you stayed. PacificNWBoater has produced an informative video of the guest moorage area. Click here to view.